if i condition my body to maintain a 3 min breath hold but take a break for a month will I still have the same breath hold how quickly do you lose all your progress in free diving for example I could take maybe three weeks off at the gym and come back with minor struggle and hit the next day as if I never took the break is it the same with co2 and o2 training. I don't think it matters a huge deal - you don't have to relearn everything again. At worst you'll have a few days to get back into 'shape'. But like, I never practice statics and I can bust out a 4 min + pretty much on que (maybe with a warm up haha). You'll find a lot of people are the same. With breath holding there are different aspects that you could look at, and they all change at different speeds to varying degrees. The good news is that the gains that you loose the fastest, are also the things that come back the fastest. Physical CO2 tolerance: Blood bi-carbonate changes how quickly our CO2/acidity will reach uncomfortable levels. It only takes a few days for our Kidneys to filter the blood and return it back to normal, but a few days of training/diving or 1-2 super high intensity workouts can bring it back to where it was. Relaxation (more as a new diver) sometimes a few days to a week out of the water is enough make you a little more nervous that you will have lost some training effect, like in other sports you might say you are rusty. But one or two sessions later you will realize that you can still do exactly what you were doing before and you'll be as relaxed as you were again. this problem resolves itself with experience, the more you dive the longer you can go before you imagine that you are "rusty". Technique.. If you don't fin for a while it will get a little sloppy but thats nothing 4-5 DYN sessions can't fix. Pressure tolerance: For me it takes about 1 month to loose my tolerance to pressure. If I dive regularly, take a month off I can still dive pretty much as deep as I was before with no sensations of pressure.. At 2 months it would take me a few sessions adapting and more than 3 month I basically have to start from scratch taking a few weeks to loose the sensation of pressure past 25m. This gets better after more years of deep diving and is probably different for everyone. O2 tolerance/dive response: It takes a very long time to condition your body to save O2, store more O2, and tolerate lower levels of O2. Once you have it though, it will take a very long time to completely loose it or even decrease. Even after 6 months out of the pool/no training I was able to match PBs in both DYN and STA after a few sessions to regain CO2 tolerance and work a bit of technique. Mental CO2 tolerance (ability to withstand contractions). Once you can hold contractions for x time, you can pretty much always hold them for x time. Since they are just uncomfortable if you've done it once, you can do it again.. It's kind of like riding a bike - once you learn it you've got it. If you stop for a while you may need a short period to to get used to it again.  I am so happy to hear that since it's going to take me a while to get into a freediving course. I also am still searching for someone i can train with - hopefully! Well, if you're every in Annapolis, MD and want to practice you can join me! Thank you i'll keep it in mind! I don't travel that often, however. Where do you practice? Practice at Arundel Olympic Swim Center on Riva Road - always looking for freedive buddies. The pool is about 25 by 50 yards. The lanes are run in the 25 yard direction so there are 15 lanes. Most pools around here don't allow breath holding but this one does. So i was practicing DYN and was able to (relatively) easily do 40 m. Do you prefer STAT or DYN training? Richard, I sent you a private message. Thank you for this post. I am getting worried looking at all these posts about barotraumas and equalization. Since you seem to know a lot i was wondering - what are some ways to make equalization easier?? I have only been 10-13 feet deep and feel the pressure on my eardrums and the water comes into one and not the other. Then it wont come back out. Is that what is meant by equalizing? No, there shall never be any pain in the ear. As soon as you feel a hint of pain you should abort the dive and try again. Check this vid. It’s a bit long but it’s great for explaining good equalising technique. I don’t think you get water in the middle ear as that is behind the eardrum. You might get water in the ear, but that probably does not have much to do with pressure. Good thing is that If you can go down to 10.5ft without any pain, you are already equalising. The water you feel is probably nothing to worry about as long as you don’t feel pain or any other weird sensation such as vertigo or other weird things. Oh! I surely hope so. I do so want to learn to dive deeper and stay under longer. I don't feel much weird sensation beyond the discomfort of the "water" in the ear which eventually drains. I have understood that for some it is very uncomfortable to get water in the ears. I don’t get it since I basically grew up under water. But as long as you feel good it’s all good!